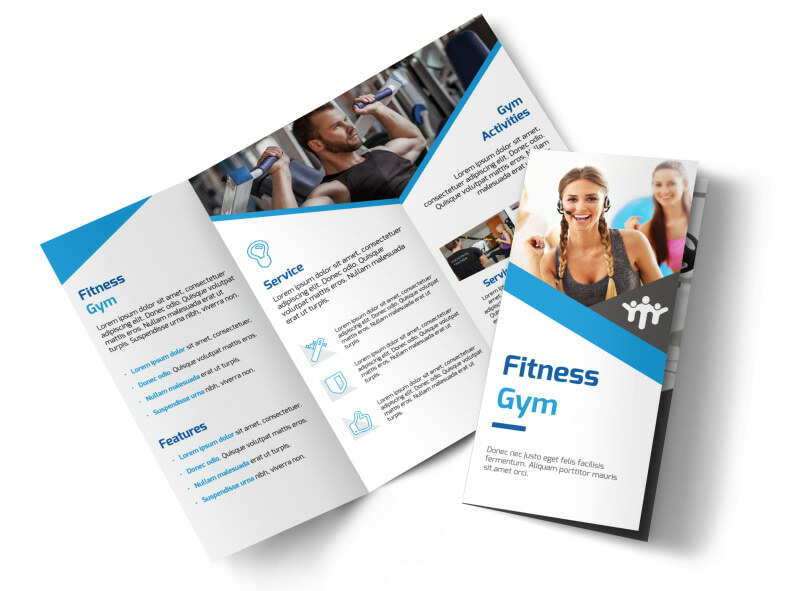 Customize our Edge Fitness Gym Tri-Fold Brochure Template and more! 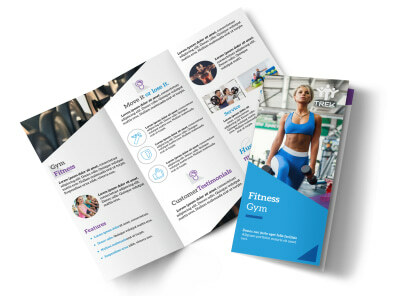 Position yourself as the fitness guru you truly are with this trifold brochure to promote your gym or studio. 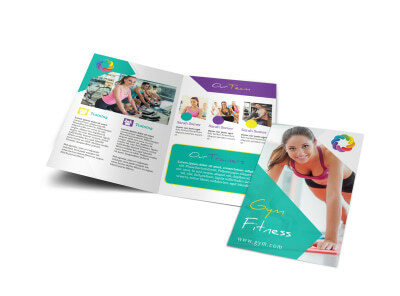 Add images of fitness bunnies and their male counterparts working out at your establishment, change the color theme and font style to make your message stand out, and send your design to our professional printers when you’re ready to print. Position your gym as the spot to be. 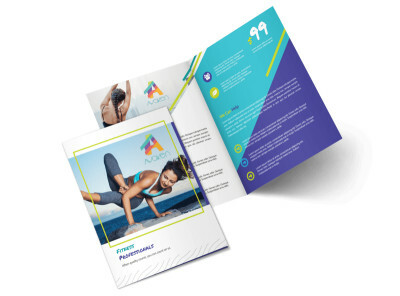 Get started on your brochure now.